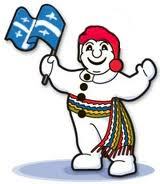 Kids will celebrate the Carnaval de Quebec, withPJ’s own week-long Fête d’Hiver. One part of this celebration includes skating with Bonhomme! Ice skate and helmet rentals are available, or bring your own! Don’t forget to dress warmly. Parent volunteers will be needed for each session in order to help with tying of skates, etc. Details for this will be out soon. As is tradition, the Grade 7 families are firing up their ovens to bake delicious cupcakes for the Bonhomme bake sale. Make sure to bring loonies and toonies for some yummy treats! For more information about Carnaval de Quebec, click here.